We have relocated one block south to 745 Fifth Avenue, 4th floor. Read about this exciting new chapter here. 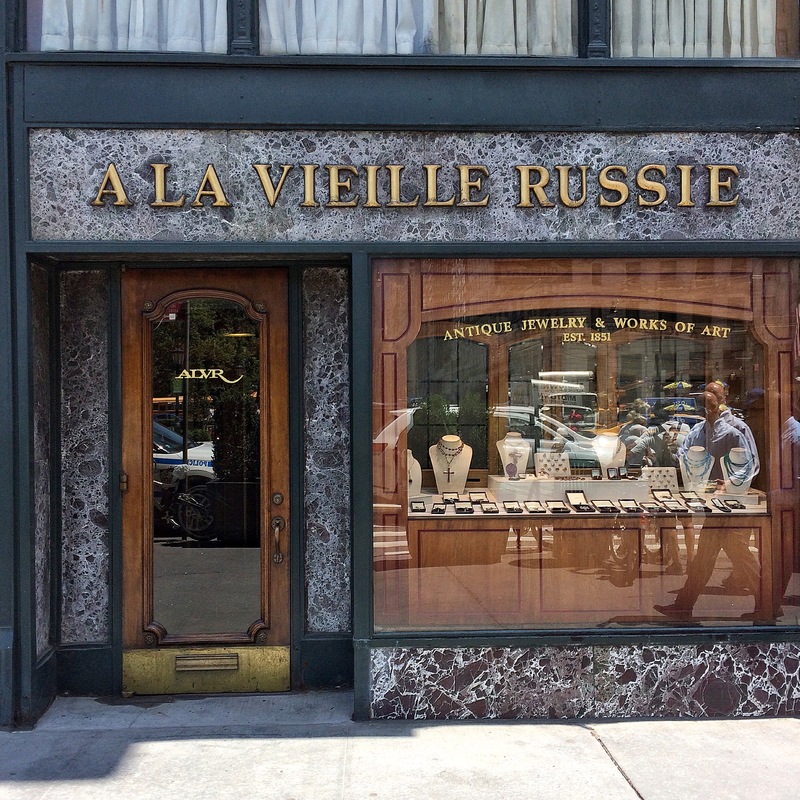 We are art and antique dealers known worldwide for our collection of Russian treasures. Goldsmith and jeweler Carl Fabergé was a client, and we are recognized today as international experts on his works. We specialize in European and American antique jewelry, 18th-century European gold snuff boxes, and antique Russian fine and decorative art, including silver, enamel, porcelain, paintings, icons, and furniture. We offer works of only the highest quality provided by the result of generations of knowledge and expertise, in an environment of integrity, education, service, and personal attention. 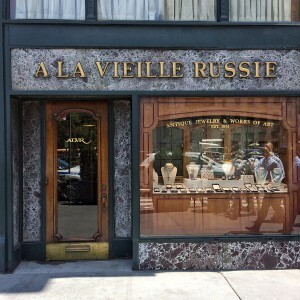 A La Vieille Russie, a family enterprise since its founding in Kiev in 1851, left the turmoil of the Revolution and was re-established in Paris around 1920 by Jacques Zolotnitsky, the grandson of the founder. The New York branch was opened in 1941 by the late Alexander Schaffer. 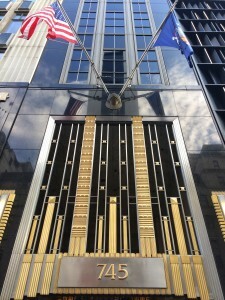 Under the direction of brothers, Messrs. Paul and Peter L. Schaffer, and Paul’s son, Dr. Mark Schaffer, we continue the tradition of dealing in fine art and antiques our present location at 745 Fifth Avenue. ALVR maintains a strong exhibition schedule, both as exhibitors and lenders. We exhibit annually at TEFAF Maastricht in the Netherlands, New York’s Winter Antique Show, Masterpiece London, and TEFAF New York Fall. 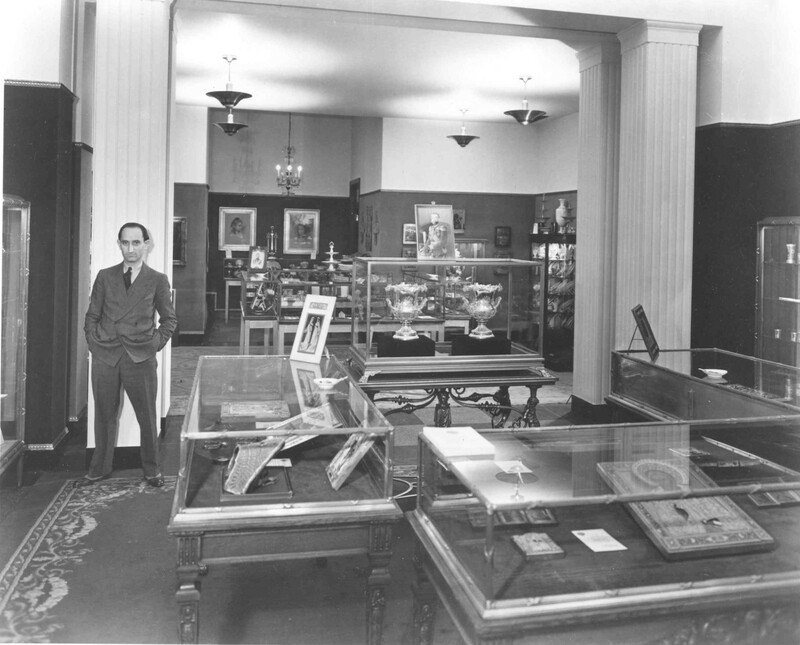 We are members of The National Antique and Art Dealers Association of America, as well as, The Art and Antique Dealers League of America. To learn more about the history of our pieces, please click here to view our Styles of Splendor page. Please note that items are subject to prior sale. Prices listed are net of any applicable taxes, duties, etc. Domestic shipping is normally included for small items, as is insurance during shipping. Please inquire about shipping charges for larger items, or for international shipments. We have made every effort to represent accurately our store and inventory on this site; however, errors might occur, so please be in touch to discuss your interests directly. Prices are subject to change without notice.